I love deckbuilding games and own quite a few of them. Like many fans of this type of card game, I started out with the iconic father of the genre, Donald X. Vaccarino’s Dominion. Dominion was a huge success and the swathe of other deckbuilders that followed aped many of the core mechanisms. ‘Many’ is an important word as there is one deviation that most of them follow. They do away with Dominion’s tight turn structure. Dominion has a clear turn structure. In each turn, the active player may play a single action card, play any currency cards they have and then buy a single card. This can be opened up by cards that allow a set number of extra actions or buys, but the effect of this structure is that decisions must be made. If you have three action cards and none grant you further actions, you must choose which to use and the others will go unplayed. This stands in contrast to other, more recent titles which are all much looser than Dominion. 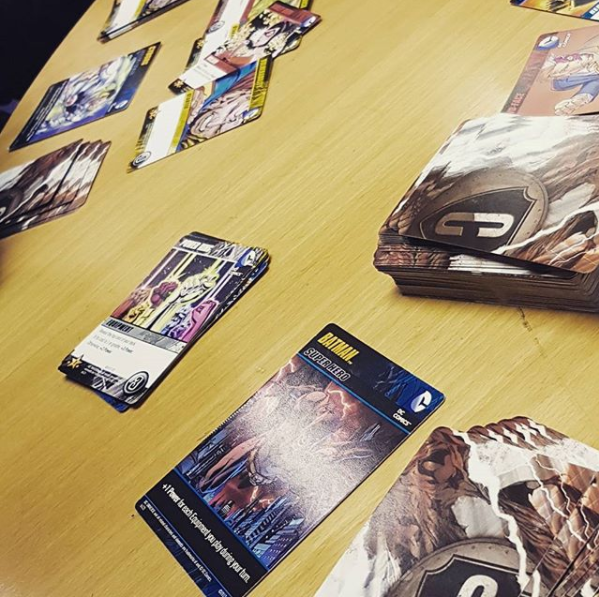 Taking the DC Comics Deck-Building Game as an example, once you have your hand of cards and it gets to your turn, you can and should play every card in your hand. The order you play your cards can matter, but you’re generally just putting them all down and counting up what they do. 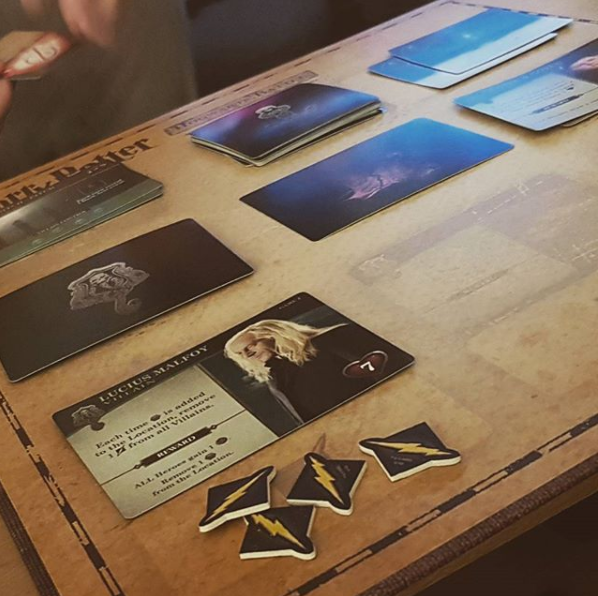 The same happens in Clank, Star Realms, Harry Potter: Hogwarts Battle and loads of others. Now, this is not a criticism of less tightly structured deckbuilding games. Strategy does exist in these games. Generally speaking, this is mostly in choosing new cards for one’s deck or in a few cards that allow choices to be made. Clank has the added layer of the dungeon crawl board that your little adventurer is moving around on. It comes down to personal taste, but I really prefer the tighter, more limiting structure of Dominion. I like that it forces you to make difficult decisions and in recent games, I’ve really seen people struggle over what to do with their turn when given a hand with multiple action cards. These decisions are what you want from strategic games and, although I enjoy the other deckbuilders I’ve mentioned, I know that each turn will basically see me just electing to play all cards. Of course, each game has a unique set of quirks and features that set it apart from the others. They all have their own selling points and I love almost all of the deckbuilding games I’ve tried – especially those that have really unique features such as Clank and Paperback. If you’re a big fan of deckbuilders, I’d love to hear what you think about structure in these games.